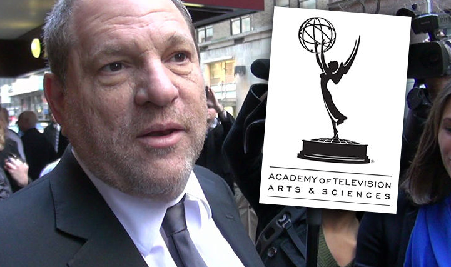 Harvey Weinstein just got another lifetime ban handed down to him -- this time it's the TV Academy who's saying he's persona non grata ... for the rest of his days. The Academy of Television Arts & Sciences held a hearing Monday and its governing board voted to expel Weinstein from the Academy for life. His former company, The Weinstein Co., has produced a number of TV shows over the years -- most notably, perhaps, being "Project Runway." In a statement, the Academy says it supports those women speaking out against Weinstein. They go on to say they're horrified by the widespread claims of sexual misconduct in the biz and are conducting a review of their membership codes of conduct. The Academy finishes by saying "We are determined to play a role in protecting all television professionals from predatory harassment, ensuring they are able to practice their craft in a safe environment." Weinstein has already been banned from the Producers Guild of America, and is under investigation by a handful of law enforcement agencies.